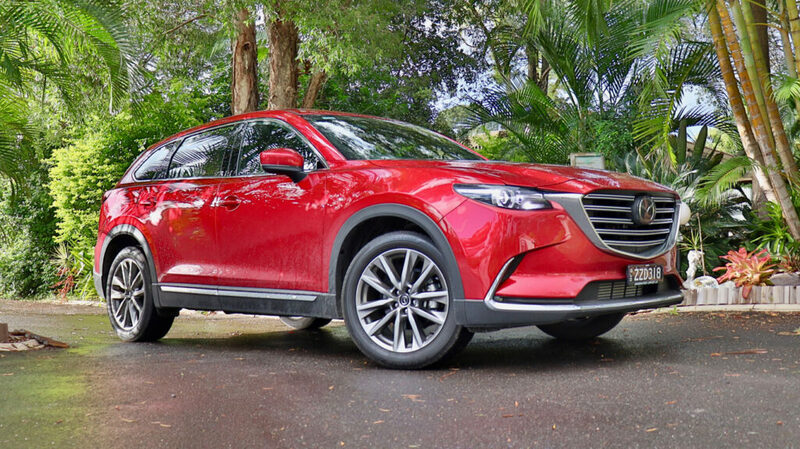 The Mazda CX-9 is a clear winner in the seven-seaters, it is a FANTASTIC SUV! I have easily and very comfortably fit five lovely big Britax child seats into the back of it! All the second-row seats slide forward and back to adjust legroom distribution. The outer seat in the second row, behind the front passenger, has a mechanism to allow you to bring that seat forward WITH a child seat installed (only if you are using the ISO Fix not the seatbelt), giving a lovely big step through access to the third-row seats. It is AMAZING!!! It is great to drive, the interior is stylish and modern so it's a nice ride for parents as well! 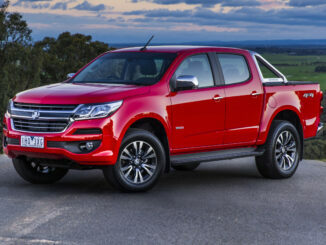 It has good boot storage space when using all seven seats and the storage in the cabin is good too. There are built-in blinds in the rear door windows and the reversing camera has a clear and crisp image. The model I tested had no Apple CarPlay or Android Auto but all Mazdas now come with both! 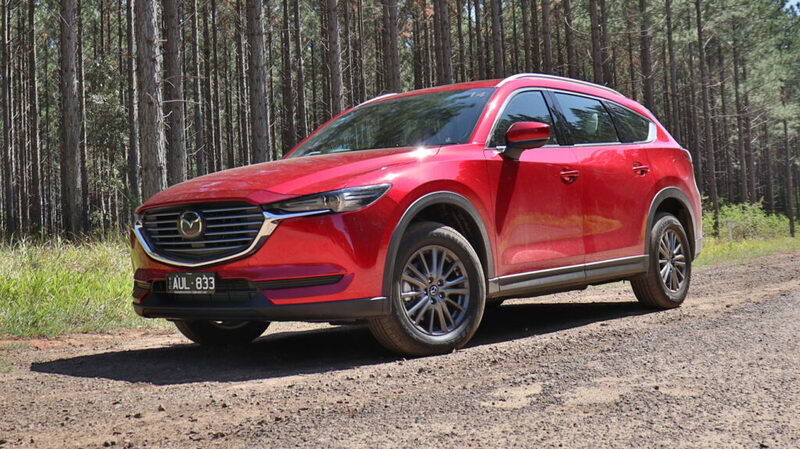 Read the full Mazda CX-9 review here. The Mazda CX-8 it is the younger cousin of the CX-9! It seems unfair to have two Mazdas in the top two positions but they really are great cars! 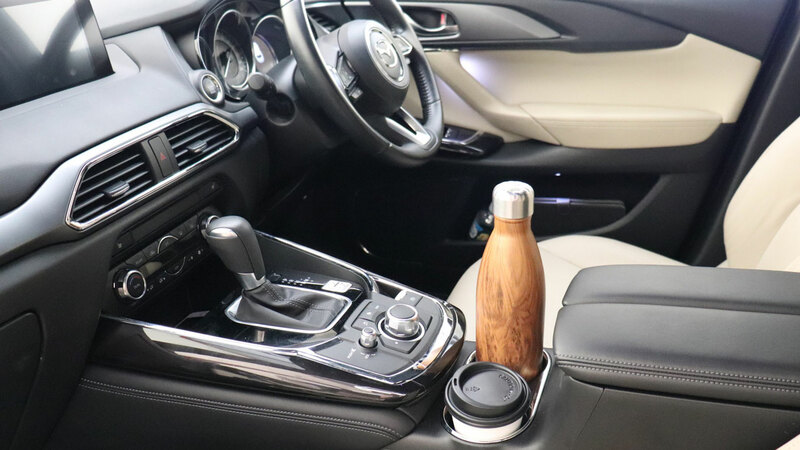 The Mazda CX-8 feels like a slightly smaller and more basic and affordable version of the CX-9 but retains most of the great family-friendly features, like the ability to install five big child seats! 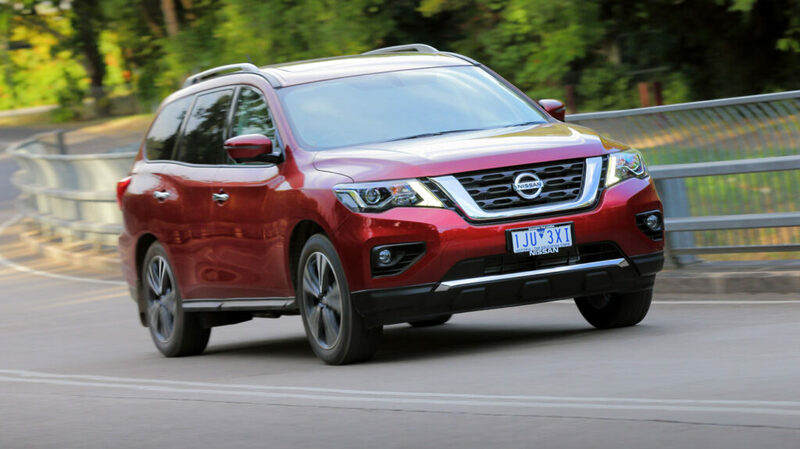 It's hard to go past that as they are the only two SUVs, that I have tested, that do so, so well without entering into the people carrier world! The second-row seats are on a 60:40 split and slide forward and back to adjust legroom distribution, legroom and ceiling height is very good in the CX-8 in the third row too. 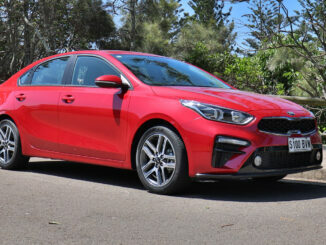 It is great to drive, has good boot storage space even when using all seven seats and the storage in the cabin is good too. The media screen and reversing camera is small and has a pixilated image, the model I tested had no Apple CarPlay or Android Auto but all Mazdas now come with both! 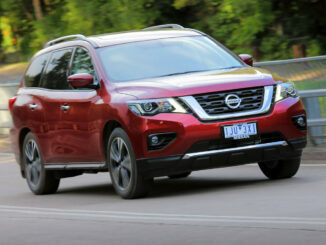 The Pathfinder exceeded expectation with its seating capacity. There are two Isofix points, one in each of the second-row seats. Four top tether anchor points in total, one in each of the backrest of all three second-row seats and there is one in the right-hand third-row seat too! This was fantastic and allowed me to install four child seats using the seat belts and top tether points. There was good space for forward-facing and rear-facing seats across the middle row. Legroom was also very good in the Pathfinder. The second-row seats are split 60:40 and both sides slide to adjust the legroom. I found I could sit in the third row comfortably (I'm 162cm) with a rear-facing child seat in the second row (and the second-row seat in the furthest back position) and the driver's seat had plenty of room for a 182cm driver. 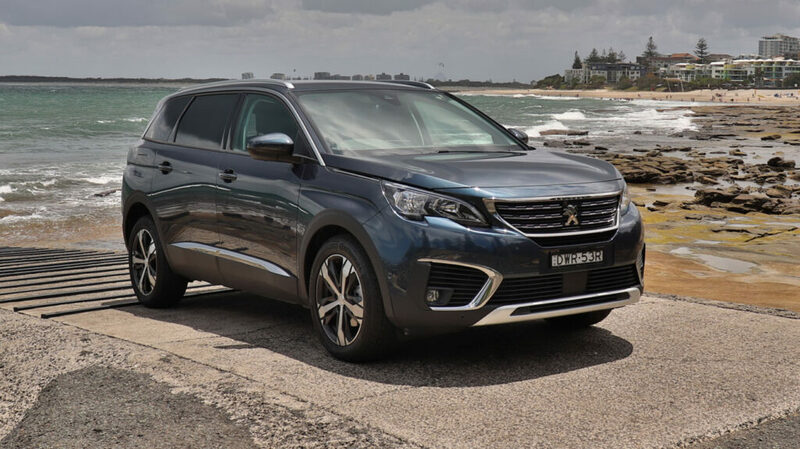 The Peugeot 5008 is one of my favourite cars of 2018 and a fantastic seven-seater! It only holds three child seats so some may argue it shouldn't be in the top five for seven-seaters BUT… it has three ISOFix and three top tethers across the second-row seats and each of those seats move individually so I could easily install three big child seats and use ISOFix for them all! I could comfortably sit in the third-row seats (I'm 162cm) with enough headroom and leg-room behind a rear facing child seat and there be enough legroom for me to sit in the driver's seat in front of that. However, I don't think there is enough space for a 180cm passenger in the first and third rows with a rear-facing child seat in the second-row. The media screen and reversing camera image is exceptionally crisp and clear, so much so it looks computer generated at first! The media system has Apple CarPlay and Android Auto and is controlled using a line of paddles underneath the screen, it took me a couple of days to get used to this and then I loved it! There are a lot of great family-friendly features in the 5008, it has window shades on the rear door windows, tray tables for the second-row passengers and underfloor storage in the second-row footwells. There is a child lock button that the driver can press to lock all windows and doors simultaneously and if that's not enough there is a wine bottle holder in the central console box! The 5008 has a very different feel and some really great styling and design that you rarely see in SUVs at its price. Read the full Peugeot 5008 review here. 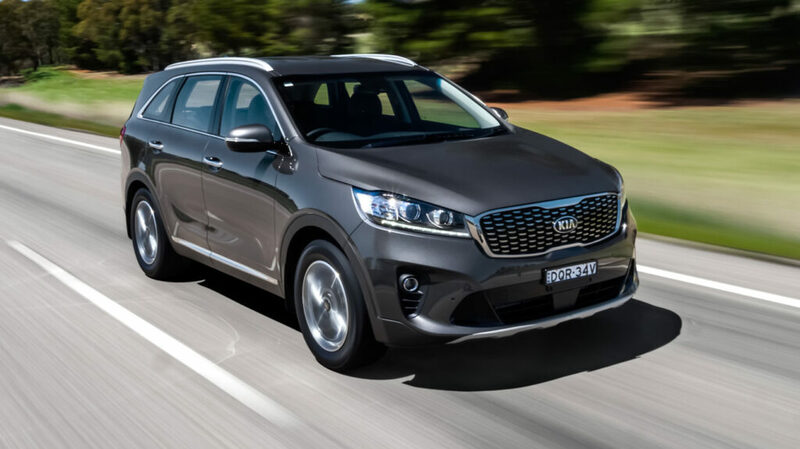 In fifth place is the Kia Sorento, the 2017 Sorento is a few centimetres longer and wider than the previous model, which would account for the amount of interior cabin, boot space and the legroom. This car is seriously spacious for a seven-seater and we could fit a 184cm driver in front of a rear-facing child seat with a tall passenger in the third row too! The head and shoulder room was the only limiting factor in the third row but the legroom is definitely there. I managed to fit three child seats across the second row of seats in the Kia Sorento. There are ISOFix in the second rows two outer seats and top tether for all three second-row seats, but there were no ISOFix or top tethers in the third-row of seats so it limits the number of child seats you can install.